All photos by the manufacturer. 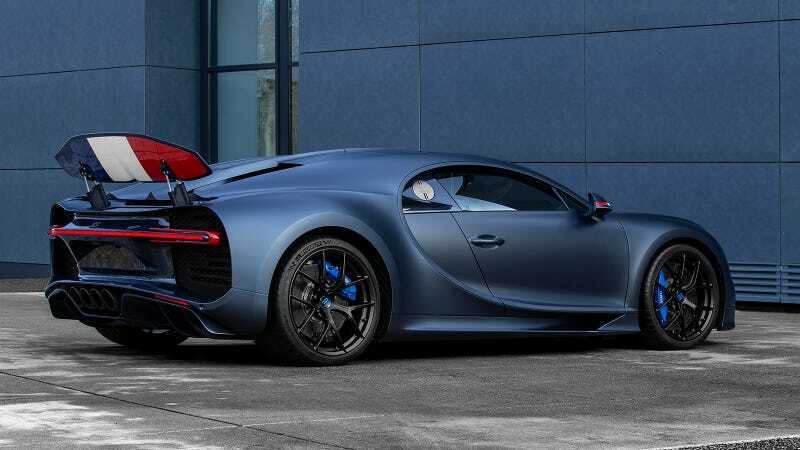 The Bugatti Chiron Sport “110 ans Bugatti” is one of the only cars pulling off blue-on-blue in 2019, which is awesome, but I think the French flag rear spoiler is one of the funnest features I’ve seen on a supercar in a while. What can I say, I’m a huge sucker for special editions. Maybe I’ll bring that up with my therapist later. Meanwhile, let’s all just drown in the beautifully deep blue carbon the exterior of this car is finished in. It looks like a cetacean from the rear quarter, and then that wing pops up. Oh, man–to experience the glory of flipping a French flag up at some la pauvre in a Ferrari, who would dare tailgate my Bugatti, before dousing their front bumper in the emissions from four exhaust pipes? That sounds like $3 million worth of fun, sure. I guess that means French vehicles would put flag emblems on their right side backwards, so it would look like it’s “blowing” with the way wind would be moving across the car, which we also do in the United States. Neat. For those of you tilting your heads reading this post, thinking “isn’t Bugatti Italian,” actually no, the name certainly sounds Italian, and the company is owned by the German Volkswagen Group, but Bugatti’s headquarters is in Molsheim, France, as is traditional. Bugatti’s founder Ettore Bugatti (hence the “EB” emblem on the cars), was in fact from Milan, Italy himself and set up shop in Molsheim, in 1909 (hence the “110th anniversary”) to start building cars. Molsheim is in the north-eastern French region of Alsace which borders Germany and was annexed by Germany around 1870 in the Franco-German war. France got it back after World War I with the Treaty of Versailles, which went into effect in 1920, and then the Germans grabbed it once again for the duration of World War II. But I think that’s pretty interesting context to consider when looking at Bugatti’s history, and we’re not about to look at a Chiron draped in French flags without talking Bugatti history. The early years of running a car company in Molsheim must have been pretty interesting, what with the region changing nationalities and major wars going on. Can you imagine the paperwork? Speaking of papers, as in spec sheets, Bugatti’s release does not mention any performance upgrades for this special extra bleu edition. 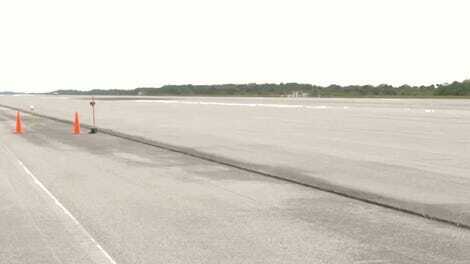 But you’ll probably be able to make do with the car’s standard 1,500 horsepower. There was no list price either, but apparently only 20 cars will be built. So if you have to ask, maybe you’d better stick to just painting blue, white and red stripes on the tailgate of your Peugeot 505. I woke up in a blue Bugatti.